The million-dollar stakes evening at Indiana Downs brought us low-priced winners and defeats by surprising entries. It’s a tough night by any standards when your top winner on the program pays $4.40. That’s what World Cup paid in the Oliver Trot Classic Consolation. 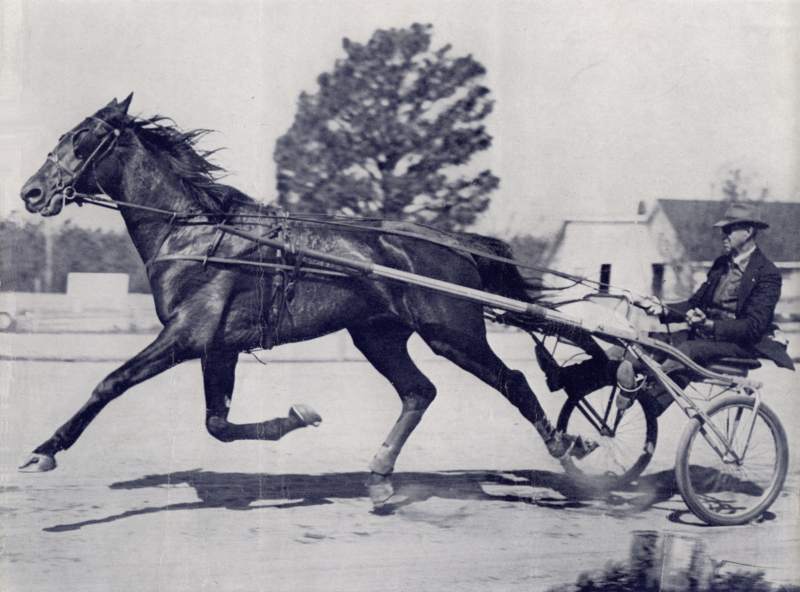 Two dollars and 20 cents less came from Foiled Again, as part of a power-packed entry in the Indiana Pacing Derby; he was our winner though he had to carry companions in the wagering, paying $2.20. Our other choices in the features finished fourth (Hurricane Kingcole, Northern Miss Hall), fifth (Blackjack Princess), sixth (Lindmeyourvictory) and seventh (Big Chocolate). The fat lady has yet to sing; next week glamour-boy pacers are at it again in the $415,820 Messenger Stakes. It’s one dash for cash at Yonkers, featuring, alphabetically, A Rocknroll Dance, Bolt the Duer, Domethatagain, Hillbilly Hanover, Lawgiver Hanover, Major Bombay, Pet Rock and Steelhead Hanover. The stakes companion event, the $229,440 Lady Maud Pace for soph-pacing fillies, presents seven in the Nov. 10 classic, also a one-dash-for-cash event. Entries, in alphabetical order, are Bettor B Lucky, Economy Terror, Handsoffmycookie, Major Look, Ramalama, Rockaround Sue and Romantic Moment. The femme field actually looks more competitive than the boys’ bunch. Balmoral is the scene of our next national stakes blast. On Nov. 10 a slew of American-Nationals for selected divisions all offer six-digit purses and bring to Crete, Illinois a number of the season’s players. More on all of this action in our Friday blog. Harness racing returned to Cal Expo this weekend for the first time since June (the five-month drought of races is the longest at the facility since 2000), giving the industry another incarnation with a new operator. Alan Horowitz, executive director of the California Harness Horsemen's Association, expects the new operators to aggressively try to win back fans and rebuild the racing product. “Expect new wagers with new guaranteed payouts, more full fields with new horses, trainers and drivers,” he said. Horses and horsemen have signed up to race from Florida, Indiana, Pennsylvania, Massachusetts and Canada. The meet opened on Breeders’ Cup weekend. Management feels racing from 6 to 11 p.m. (Pacific Standard Time), will attract an audience across other time zones, picking up East Coast fans when those tracks close, adding people in Central time and maintaining the West Coast viewer all evening. Callahan will be tested by last meet’s runner-up, Ross Wolfenden, fresh from winning his second-consecutive Harrington Raceway driver crown; Tony Morgan, winner of three of the last seven Dover championships; and former driving leaders Tim Tetrick and Jim Morand. Ron Pierce is another top reinsman set to appear regularly in the strong driver colony during the six-month long season. Next weekend, the track’s major stakes events get underway with eliminations for the $400,000 Progress Pace for the soph-colt pacers and seven Matron Series divisions for two- and three-year-olds, all on Sunday, Nov. 11. Dover features 15 races daily; Sunday post time is 5:30 p.m. while Monday through Thursday racing begins at 4:30 p.m. There is no live racing on Fridays and Saturdays in November.